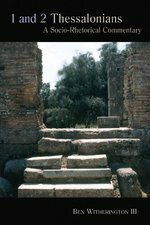 Paul's two letters to the Thessalonians stand as some of the very earliest Christian documents, yet they appear well into Paul's missionary career, giving them a unique context well worth exploring. In this first full-scale socio-rhetorical commentary on 1 and 2 Thessalonians, Ben Witherington gleans fresh insight from reading Paul's text in the light of rhetorical concerns and patterns, early Jewish theology, and the first-century historical situation in Macedonia. Witherington's distinctive socio-rhetorical approach helps unearth insights that would otherwise remain hidden using only form criticism, epistolary categories, and traditional criticism. Witherington details Thessalonica's place as the -metropolis- of Macedonia, and he carefully unpacks the social situation of Paul and his recipients. Scholars will appreciate the careful analysis and rhetorical insights contained here, while Witherington's clear prose and sensitivity to Paul's ideas make this work ideal for all who desire a useful, readable commentary on 1 and 2 Thessalonians. Even though the letter of 1? ?Peter has sometimes been overshadowed by Paul's many New Testament letters, it is nonetheless distinctive for the clarity with which it presents the Christian message. In this volume Joel Green offers a clear paragraph-by-paragraph analysis of 1? ?Peter and, even more, unpacks the letter?? 's theology in ways that go beyond the typical modern commentary. 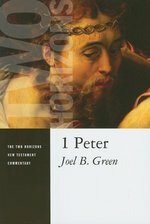 Following Green's paragraph-by-paragraph commentary is an extended discussion of the "theological horizons" of 1 Peter. Throughout his study Green brings the message of 1 Peter into conversation with Christian theologians ? ancient and contemporary ? so that the challenge of this letter for Christian faithfulness can be heard more clearly today. 1 Samuel is Volume VII of The Forms of the Old Testament Literature, a series that aims to present a form-critical analysis of every book and each unit in the Hebrew Bible. Fundamentally exegetical, the FOTL volumes examine the structure, genre, setting, and intention of the biblical literature in question. They also study the history behind the form-critical discussion of the material, attempt to bring consistency to the terminology for the genres and formulas of the biblical literature, and expose the exegetical process so as to enable students and pastors to engage in their own analysis and interpretation of the Old Testament texts. Antony Campbell's valuable form-critical analysis of 1 Samuel highlights both the literary development of the text itself and its meanings for its audience. A skilled student of the Hebrew scriptures and their ancient context, Campbell shows modern readers the process of editing and reworking that shaped 1 Samuel's final form. As Campbell's study reveals, the tensions and contradictions that exist in the present text reflect a massive change in the way of life of ancient Israel. Samuel, the first prophet, here emerges to preside over the rise of Saul, Israel's first king, to be the agent of Saul's rejection, and to anoint David as Israel's next king and the first established head of a royal dynasty. The book of 1 Samuel captures the work of God within this interplay of sociopolitical forces, and Campbell fruitfully explores the text both as a repository of traditions of great significance for Israel and as a paradigm of Israel's use of narrative for theological expression. In this volume Ruth Anne Reese explores the theological and literary meaning of 2? ?Peter and Jude with an emphasis on theology for the church today. She seeks to meld together the best tools derived from the disciplines of both biblical studies and theology. 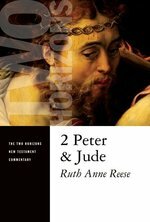 Reese's 2 Peter and Jude begins with a general introduction to the two books and proceeds to look at each text, exploring the meaning of particular words and illuminating the text with elements of history, sociology, and literary study. The themes of each book ? and how they are played out throughout the biblical canon ? are examined from an explicitly theological angle. Reese brings together insights from the best of biblical scholarship with the work of theologians, both contemporary and ancient. The combination of disciplines leads to new insights on such issues as judgment, community living, and the relationship between faith and ethics. The Forms of the Old Testament Literature series (FOTL) aims to present, according to a standard outline and methodology, a form-critical analysis of every book and each unit in the Old Testament (Hebrew Bible). Fundamentally exegetical, the FOTL volumes examine the "structure, genre, setting," and "intention" of the biblical literature in question. Designed to be used alongside a Hebrew text or a translation of the Bible, the series is meant primarily to lead the student to the Old Testament texts themselves, not just to form-critical studies of the texts. Each volume includes thorough bibliographies and a glossary of the genres and formulas identified in the commentary. In this lucid expose the second letter to the Thessalonians is approached from a historical perspective. The letter is read as part of a process of communication between its sender and the original addressees, making it accessible to the modern reader. 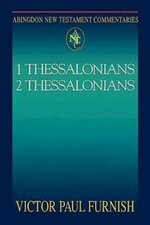 2 Thessalonians includes a translation of the short Greek text; an historical examination of the letter's genre, authorship and religious milieu; an introduction to apocalyptic eschatology and an extensive commentary on the letter. 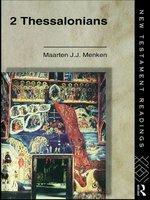 Maarten Menken's book will appeal to theologians, ministers of religion, students of theology and all those interested in biblical studies. The globalization of our world has brought with it a growing interest in different religious traditions. This series offers a glimpse into traditions, beliefs, and perspectives of religions from around the world. Based on modern translations and scholarship, these books will be a valuable addition to anyone's library. This book contains a critical edition, translation, and commentary of the main fragments of 4QInstruction, the largest wisdom text of the Dead Sea Scrolls. 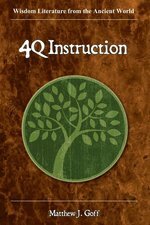 It examines particular texts of 4QInstruction as well as broader issues, such as the compositions date, genre, and main themes. 4QInstructions relationship to the sapiential and apocalyptic traditions is also explored. Like widely differing siblings raised by the same parents, each letter produced by Paul has its own distinguishing character. For the historically minded critic, each letter's unique traits provide important clues for detecting the circumstances in which Paul wrote it as well as what he hoped to achieve with it. Scholars assume that by examining the content of the letter (the "answer"), they can infer the readers' situation that Paul is addressing (the "question")--a method sometimes called "mirror reading." In the case of Romans, however, both the particular traits and the overall content are so unusual that scholars continue to debate why Paul wrote precisely this letter and what he hoped to achieve by it in Rome." So begins Leander Keck's seminal work on the New Testament book of Romans. Keck asserts that because Romans is part of the New Testament, we can compare it with the other letters ascribed to Paul, as well as with what Acts reports about his message and mission. But the first readers of Romans had only this letter; they could compare it only with what they may have heard about him. 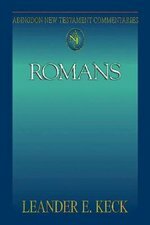 While this commentary does from time to time compare Romans with what Paul had said before, it concentrates on Romans itself; what Paul says in this text should not be conflated with--nor inflated into--what he thought comprehensively, though it is essential to understand that as well. "We do not really need another major commentary [on Romans] that loses us in the minutiae of word studies, literary parallels, sociological and rhetorical hypotheses; we have such in plenty. The Abingdon series, however, by its limited size, forces the contributor to focus on the primary task of the commentator: to clarify the meaning (intended or potential) of the words of the text and to provide some basic reflection on its/their continuing significance. And that is where Keck excels." - James D. G. Dunn, Review of Biblical Literature 04/2006. From the second century to the present, 2 Corinthians offers its riches grudgingly, if at all; and even then it demands only the most careful and attentive inquiries. The short letter to the Colossians has played a significant role in the development of Christian thought. Its emphases on salvation as largely realized here and now, on knowledge in relation to faith, on Christ as the head of the church, on the entire cosmos and all humanity as the objects of God's work of redemption through him, and on Paul's authority--all these point in the direction of church theology at the end of the apostolic period. Christian notions of ethical responsibility between asceticism and worldliness, as well as the subordination of wives to husbands and slaves to masters, were influenced by the "household table" of Colossians 3:18-4:1. In the fourth century Colossians' Christological claims surfaced on opposite sides of the Arian controversy, which dealt with the status of the Son of God in relation to the Father/Creator and the created order. In the nineteenth and twentieth centuries, Colossians attracted special attention as theologians and ordinary believers have wrestled with new questions about science and religious pluralism. The Abingdon Old Testament Commentaries provide compact, critical commentaries on the books of the Old Testament for the use of theological students and pastors. The commentaries are also useful for upper-level college or university students and for those responsible for teaching in congregational settings. 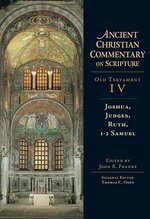 In addition to providing basic information and insights into the Old Testament writings, these commentaries exemplify the tasks and procedures of careful interpretation, all to assist students of the Old Testament in coming to an informed and critical engagement with the biblical texts themselves. 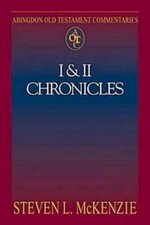 The present volume gives an up-to-date, readable commentary on the books of First and Second Chronicles. The commentary covers critical issues section by section while emphasizing the larger theological and literary issues in Chronicles and illustrating its relevance for modern readers. Proverbs shape our moral imagination. The book of Proverbs invites us into an ancient and ongoing conversation about what is good and wise and true in life. Yoder explores the book through literary, exegetical, and theological-ethical analysis, paying particular attention to how Proverbs shapes the moral imagination of its readers. She highlights the poetics of each proverb, considers similarities and differences between the book's sections, and ponders how the content, pedagogies, and arrangement of Proverbs contribute to its aim to form "fearers of the Lord." In this discursive commentary Joseph Blenkinsopp explores the story of Abraham -- iconic ancestor of Judaism, Christianity, and Islam -- as told in Genesis 11-25. Presented in continuous discussion rather than in verse-by-verse form, Blenkinsopp's commentary focuses on the literary and theological artistry of the narrative as a whole. Blenkinsopp discussses a range of issues raised in the Abraham saga, including confirmation of God's promises, Isaac's sacrifice and the death of Jesus, and Abraham's other beloved son, Ishmael. Each chapter has a section called -Filling in the Gaps, - which probes some of the vast amount of Jewish, Christian, and Islamic commentary that the basic Genesis text has generated through the ages. 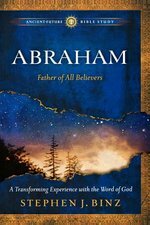 In an epilogue Blenkinsopp looks at Abraham in early Christianity and expresses his own views, as a Christian, on Abraham. 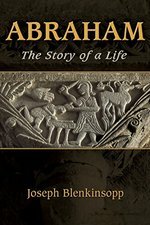 Readers of Blenkinsopp's Abraham: The Story of a Life will surely come away with a deeper, richer understanding of this seminal ancient figure. 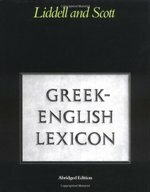 This abridgement of the world's most authoritative dictionary of ancient Greek is intended chiefly for use in schools. To this end, some of the more specialized words relating to medicine and science have been excluded, whilst words from works of particular relevance to school usage have been retained, and the number of irregular verb tenses expanded. This book calls for a reevaluation of the Old Testament and its role in the Church. It is written out of the conviction that the church needs to claim the Old Testament as its own but also to grant the legitimacy of the Jewish claim on Israel's sacred Scriptures. The author is concerned to debunk several ideas, including the popular notions that Paul was the real inventor of Christianity; that a great gulf exists between the Old Testament and the New Testament; that the early Christians used the Old Testament to prove their already established belief in Jesus; and that Christianity is less credible or valuable if it is seen to depend on Jewish traditions. Van Buren's starting point is an exploration of the meaning and origin of the early Christian confession, "Christ died for our sins in accordance with the scriptures"-particularly the last part of the confession. Van Buren argues that the wording of this early, pre-Pauline gospel confession was the result of a creative application of early Jewish interpretations of scripture, especially of the Binding of Isaac story in Genesis 22. Christians need to affirm the legitimacy of their understanding Christ in light of the Old Testament, argues van Buren, but they also need to grant the legitimacy of the Jewish reading of scripture. The interpretive traditions of both religious communities-Judaism and Christianity-need to be respected. Clearly and elegantly written, this book represents a sensitive ecumenical effort at fostering Jewish-Christian dialogue: a book that both Jews and Christians can read with profit. 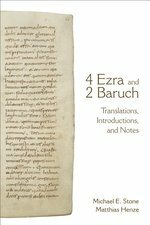 The church fathers, as they did in earlier books dealing with Israel's history from the time of Joshua to the united monarchy, found ample material for typological and moral interpretation in 1-2 Kings, 1-2 Chronicles, Ezra, Nehemiah and Esther. As will be immediately clear to readers of this volume, they gave much more attention to 1-2 Kings than to any of the other books addressed here; whether this was due to a certain repetitiveness in the story line or other reasons is unclear. But the narratives of wise King Solomon, the construction of the temple, the prophets Elijah and Elisha, and the fates of various faithful and unfaithful kings and other powerful people were well suited to their purposes. Among Greek commentators in this collection, readers will find Justin Martyr, Clement of Alexandria, Origen, Methodius, Eusebius of Caesarea, Athanasius, Cyril of Jerusalem, Basil the Great, Gregory of Nazianzus, John Chrysostom, Cyril of Alexandria, Theodoret of Cyr, Procopius of Gaza and John the Monk. Among Latin commentators are Tertullian, Cyprian, Novatian, Lactantius, Ambrose, Jerome, Prudentius, Augustine, Paulinus of Nola, John Cassian, Peter Chrysologus, Maximus of Turin, Salvian the Presbyter, Fulgentius of Ruspe, Caesarius of Arles, Gregory the Great, Bede and Rabanus Maurus. Syriac commentators include Aphrahat, Ephrem, Sahdona, Isaac of Nineveh and Isho'dad of Merv. Together they set before readers a table of delights and theological insights, some of which are here available to English readers for the first time. 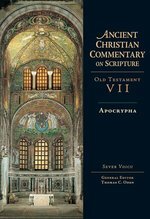 This last volume of the Ancient Christian Commentary on Scripture offers commentary from the early church fathers on the deuterocanonical books of the Bible, with insights that will be of great benefit to preachers and teachers alike. Readers will find some ancient authors translated into English here for the first time. Throughout they will gain insight and encouragement in the life of faith as seen through ancient pastoral eyes. 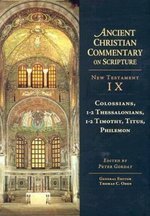 While patristic commentary on St. Paul's shorter letters--Colossians, 1-2 Thessalonians, the Pastorals and Philemon--was not so extensive as that on his longer letters, certain passages in these letters proved particularly important in doctrinal disputes and practical church matters. Pivotal in controversies with the Arians and the Gnostics, the most commented-upon christological text amid these letters was Colossians 1:15-20, where Jesus is declared "the image of the invisible God, the firstborn of all creation." In other texts scattered throughout the Pastorals, the fathers found ample support for the divinity of the Son and the Spirit and for the full union of humanity and divinity in the one redeemer, the "one mediator between God and men, the man Christ Jesus" (1 Timothy 2:5). These early Christian commentators also looked to the Pastorals, where Pauline authorship was assumed, for important ethical and moral teaching, as well as explicit qualifications for choosing church leaders and guidelines for overseeing the work and behavior of widows. Chief among the Eastern commentators and widely excerpted throughout this volume is John Chrysostom, praised for his pastoral insight and shrewd, generous empathy with the apostle Paul. Other Greek commentators whose works are cited include Theodoret of Cyr, Theodore of Mopsuestia, Severian of Gabala, Ignatius of Antioch, Justin Martyr, Irenaeus, Clement of Alexandria, Athanasius, Basil the Great, Gregory of Nazianzus and Gregory of Nyssa. Among Western commentators Augustine dominates. His work is joined by that of Ambrosiaster, Pelagius, Jerome, Hippolytus, Tertullian, Novatian, Cyprian of Carthage, Hilary of Poitiers and Ambrose, among others. Of particular interest for their ascetical and devotional insight are works from Syrian and Egyptian churches, including Aphrahat, Ephrem the Syrian, Isaac of Nineveh and Philoxenus of Mabbug. This volume opens up a treasure house of ancient wisdom that allows these faithful witnesses, some appearing here in English translation for the first time, to speak with eloquence and intellectual acumen to the church today. Jeremiah, the weeping prophet, prophesied for four decades under the last five kings of Judah--from 627 to 587 B.C. His mission: a call to repentance. Among the Apostolic Fathers, Jeremiah was rarely cited, but several later authors give prominent attention to him, including Origen, Theodoret of Cyr and Jerome who wrote individual commentaries on Jeremiah and Cyril of Alexandria and Ephrem the Syrian who compiled catenae. Justin and Irenaeus made use of Jeremiah to define Christians over against Jews. Athanasius made use of him in trinitarian debates. Cyril of Jerusalem, Irenaeus, Basil the Great and Clement of Alexandria all drew on Jeremiah for ethical exhortation. Lamentations, as might be expected, quickly became associated with losses and death, notably in Gregory of Nyssa'sFuneral Orations on Meletius. By extension the Fathers saw Lamentations as a description of the challenges that face Christians in a fallen world. Readers will find some ancient authors translated into English here for the first time. Throughout they will gain insight and encouragement in the life of faith as seen through ancient pastoral eyes. The history of the entry into the Promised Land followed by that of the period of the judges and early monarchy may not appear to readers today as a source for expounding the Christian faith. But the church fathers readily found parallels, or types, in the narrative that illumined the New Testament. An obvious link was the similarity in name between Joshua, Moses' successor, and Jesus--indeed, in Greek both names are identical. Thus Joshua was consistently interpreted as a type of Christ. So too was Samuel. David was recognized as an ancestor of Jesus, and parallels between their two lives were readily explored. And Ruth, in ready fashion, was seen as a type of the church. Among the most important sources for commentary on these books are the homilies of Origen, most of which are known to us through the Latin translations of Rufinus and Jerome. Only two running commentaries exist--one from Gregory of Nazianzus, one of the famous Cappadocian theologians, the other from Bede the Venerable. Another key source for the selections found here derives from question-and-answer format, such asQuestions on the Heptateuch from Augustine, Questions on the Octateuch from Theodoret of Cyr and Thirty Questions on 1 Samuel from Bede. The remainder of materials come from a wide variety of occasional and doctrinal writings, which make mention of the biblical texts to support the arguments. Readers will find a rich treasure trove of ancient wisdom, some appearing here for the first time in English translation, that speaks with eloquence and challenging spiritual insight to the church today.